Hayden Smith’s innovative idea to reduce plastic waste was selected as a winner of PepsiCo’s nationwide Game-Changers Competition, which earned him a trip to Super Bowl LIII. Economics and environmental geoscience double-major Hayden Smith. That’s how Texas A&M University student Hayden Smith ’19 thought of the innovative idea that’s now taking him all the way to the Super Bowl, as a winner of PepsiCo’s 2019 Game-Changers Competition. A double-major in economics, in the College of Liberal Arts, and environmental geoscience, in the College of Geosciences, Smith used his knowledge of business and the environment to develop a plastic-reduction concept to pitch to PepsiCo. Now named one of five winners of the competition, Smith is excited not only to enjoy an all-expenses-paid, 4-day trip to Super Bowl weekend in Atlanta, but also to see his award-winning idea possibly become a reality. Smith is a serial ideator, because “you never know the power of ideas,” he said. The plastic-reduction idea came to him about six months ago, one day when he was walking his dog. About a month later he heard about the PepsiCo competition, made the video pitch for his idea, and entered it. “I didn’t tell a soul about it, until I heard back in December,” he said. Now Smith is headed to Atlanta for Super Bowl 53, and his sustainability-minded idea could potentially be implemented by PepsiCo. He and the other four PepsiCo Game-Changers Competition winners will participate in promotional filming, watch the half-time show rehearsal, be in a NASDAQ stock exchange bell closing, take a market tour, attend the Super Bowl, take photos with the Vince Lombardi Trophy, meet NFL players, and more. Smith has a passion for both sustainable policy development and sustainability-focused businesses, and his entrepreneurial instincts have driven him for a long time. 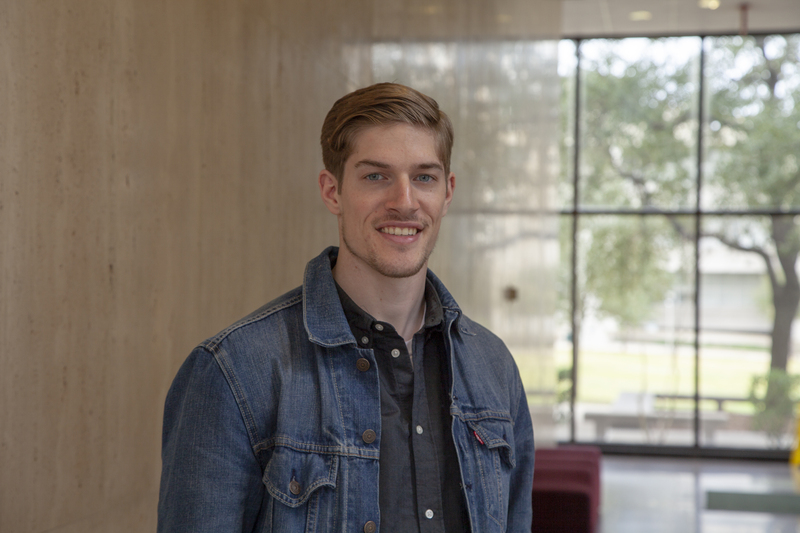 From 2017 to 2018, Smith and two friends, a Texas A&M Geosciences graduate student and a University of Houston graduate student, formed a startup company to develop a holistic student services software application. Their team completed YCombinator’s Startup School, a program of one of the major startup accelerators in Silicon Valley, and they also participated in Texas A&M Mays Business School’s McFerrin Center for Entrepreneurship Startup Aggieland business incubator program. Building a startup was an invaluable experience for him. Smith’s affection for Aggieland has also been with him for most of his life, he said. 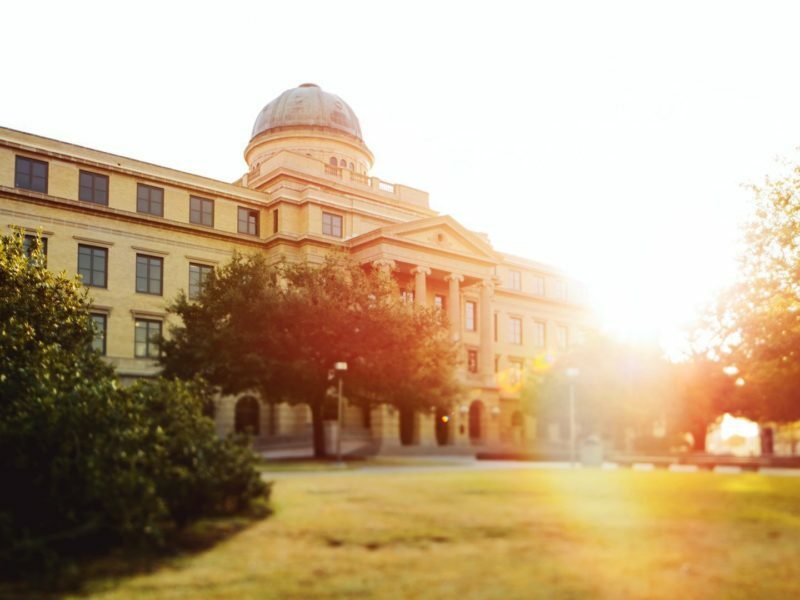 At Texas A&M, professors in both of his majors have helped him understand the most critical problems facing Earth today and how sustainable solutions could be developed. Smith also credits the teaching of Dr. Vatche Tchakerian, professor of geography, for “opening my eyes to not just the problems we face, but looking at the grand solutions of actually moving in a better direction for our planet and people.” And, Geography Professor Dr. Wendy Jepson’s “resources class also gave me a much more well-rounded view of policy,” he said. After graduating in December 2019, he would like to attend law school and focus on a J.D. in environmental law, and also pursue a joint master’s degree in development or resource economics, and hopes to eventually work in public service or policy-making. The three-day Leading Champions program at Texas A&M combines lessons learned from coaching and business leadership strategies to create the first and only development experience of its kind in the U.S.
Ben Omonira and Elise Hackney, students of Texas A&M College of Engineering, were selected as one of seven startup teams to join the “LaunchPad Lift” program.